Now time to create your survey questions. 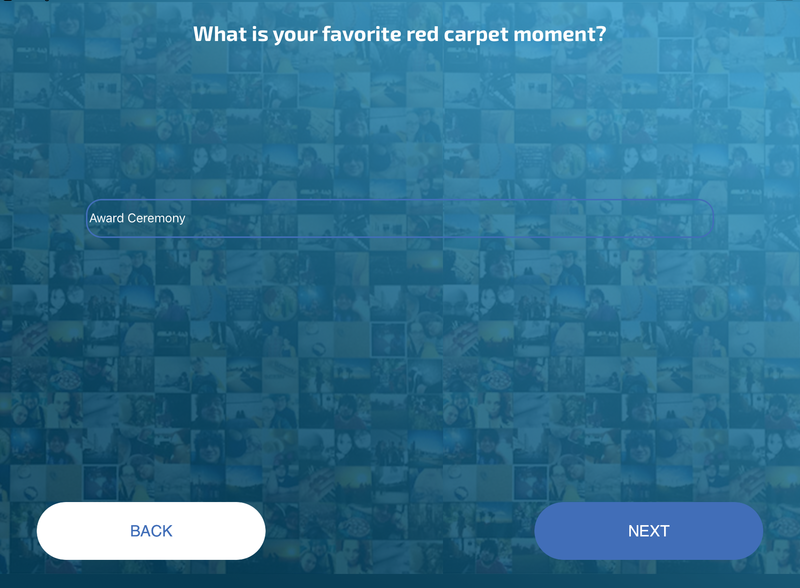 Click on New question to move forward. 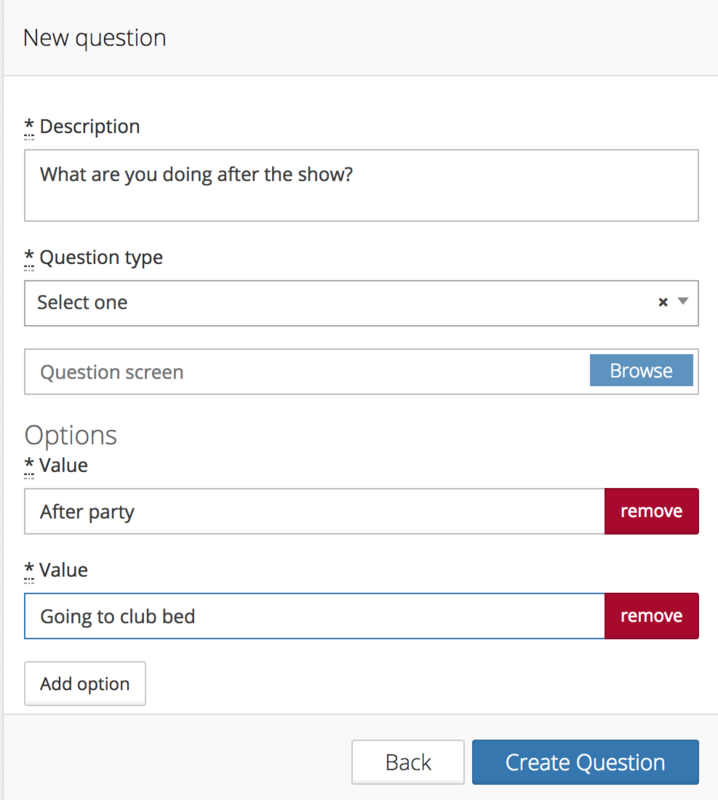 Now create your question in the description space and decide what kind of response you would like. I will show you an example of a couple replies. The one below is set up to receive a text response, or single line response. 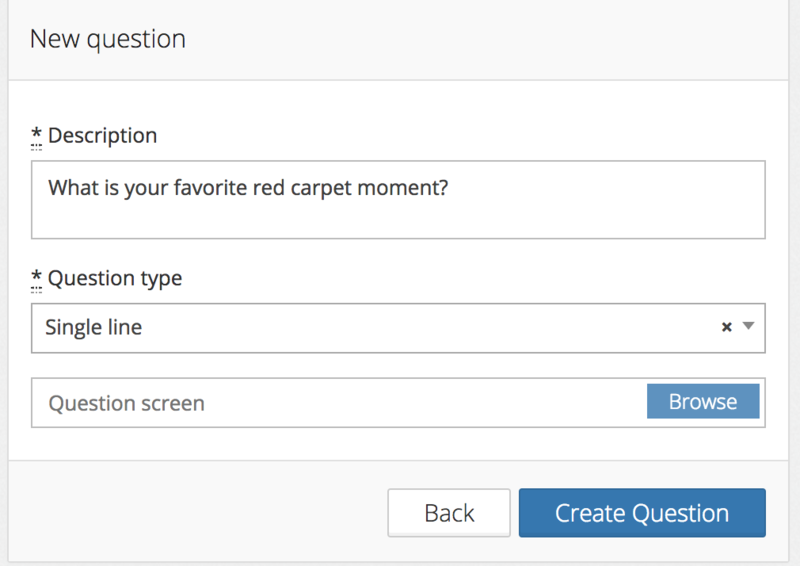 Also you will see a space that says 'Question screen', you can upload a custom background for when the question appears. The example below is a multiple choice question. 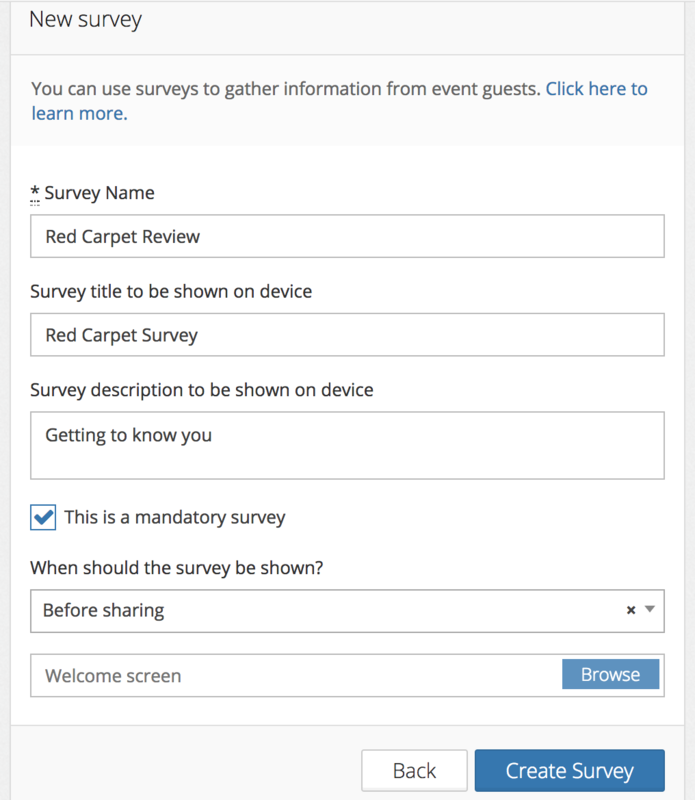 Now log into your event dashboard and add the survey to your event settings. This can be found under General Settings. 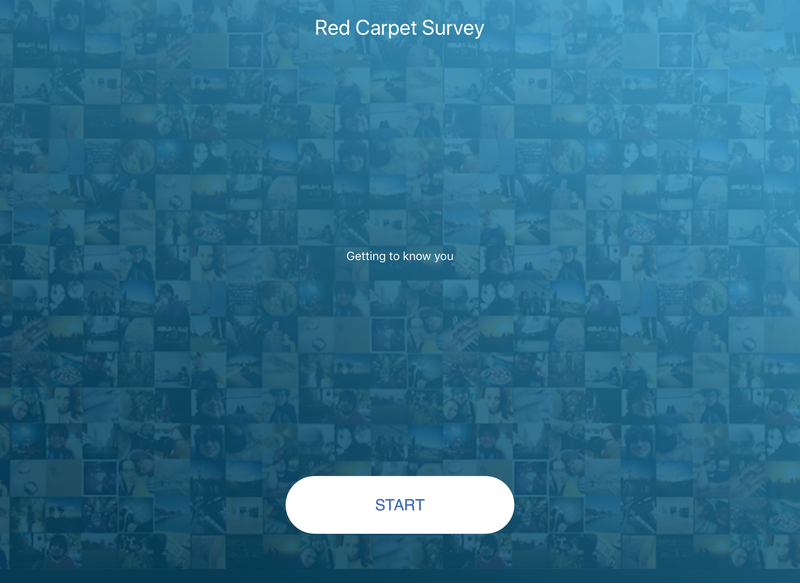 Below you will see the title screen of the survey. Below is an example of a survey screen showing the line/text response. Below is an example of a multiple choice question. 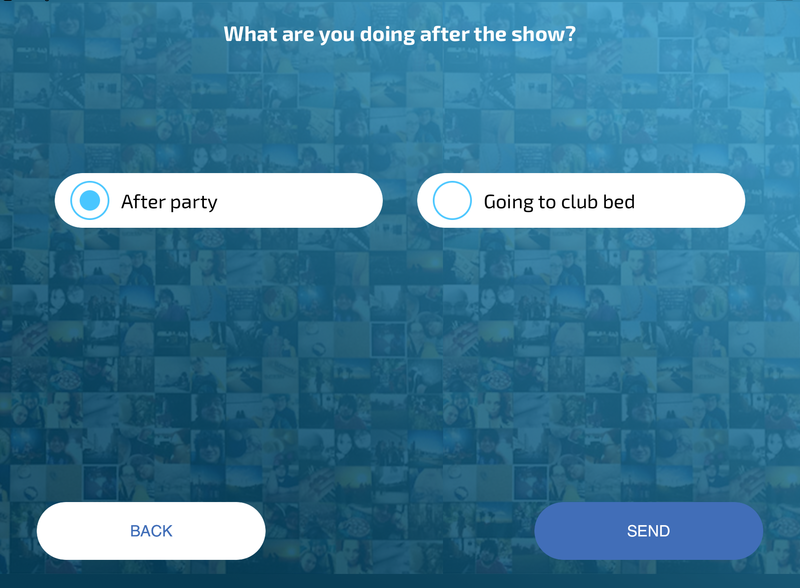 You can easily view your survey responses by going to cloud.picpicsocial.com/surveys and click actions > responses. OR if you have the data collection feature as part of your plan you can easily get to your responses this way and even connect the response to the user who shared by clicking 'view' in the survey column of your data info.